"The Disco & Karaoke Experts"
Welcome to Dance-Sing! Over the years we have built a solid reputation and have been providing disco, karaoke and wedding entertainment to thousands of private and corporate clients since 1989. 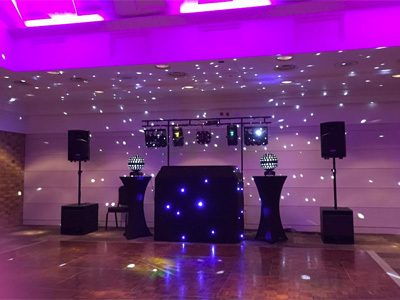 We are London-based and can provide disco and karaoke with professional quality sound and lighting and a range of optional extras for your event. All our equipment is regularly checked and updated. We are available to make new bookings from 9am to 9pm, 365 days a year - simply give us a call or use the quote button. Once your booking is confirmed, we are always on hand to ensure the event plays out exactly the way you want (including providing a back-up system and MC just in case), and our friendly customer service team are always just a phone call away. Required by many venues, Dance-Sing.com has a current PLI policy with National Association of Disc Jockeys in the amount of £10 million. Also required by many venues, Dance-Sing.com has supplied satisfactory evidence of holding current PAT inspections of their equipment dated within the last 12 months. A Method Statement, outlining Dance-Sing.com&apos;s Health & Safety procedure for setting up disco equipment has not been supplied. Why do people choose to book Dance-Sing.com? Great guy and best price offered. "DJ Dominik knew his stuff, asked the right questions and helped make the evening the success it was. Thanks very much"
"Thank you for your kin review and I hope we can be of service to you in the future"
"Was absolutely over the moon at how well it all turned out. Was concerned as venue was on a boat, but from the very beginning Mark was very reassuring that all was in hand. Mark was very quick to reply to all my questions and their prices are extremely competitive. On the day Rob arrived early, set up and was such a friendly and accommodating guy. Would highly recommend this company!" "DJ was good, wonderful day it was sunny but windy as it was outdoors. But he managed he was very good at announcing arrival of guests and promoting attractions. " 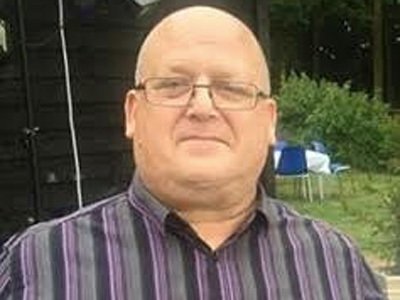 "The DJ had problems with his lap top and could not fully understand the programme he was using therefore was not ready when the doors opened and when the guest arrived there was no music. He said that his personal laptop had stopped working and was using someone else's. He also said that the music was not his therefore he did not have the current and up to date music that the children required. However he was very nice and was obviously flustered when things began to go wrong. He did reduce the overall cost as an apology for the mix-up at the beginning of the evening. The children did enjoy the evening and if he came back with up to date music I would use him again and recommend him to others. " 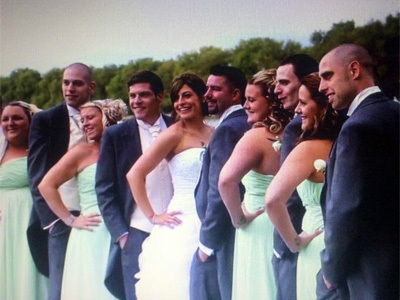 "Mark was very responsive in our email correspondence before the party. He was on time (in fact, early) to the party and professional and friendly throughout. He played the songs we had requested and interacted well with the kids. He also knew how to get them dancing with a selection of classic party tunes! Good value for money - recommended." "Rob was amazing, he made the night more perfect for my boyfriends surprise 30th party with the great song choices. Nothing was too much to ask and I'll definitely be using him again and recommending him to friends if they require a DJ at any point. Thanks again!" "Great friendly DJ. Played all that we asked of him. Would recommend to anyone, many thanks!" "Very happy! Would definitely recommend. Worth every penny." Dance-Sing.com also offers a range of additional party services not directly linked to musical entertainment. Get FREE no-obligation disco quotes from Dance-Sing.com and other DJs covering your venue. Take 2 minutes to fill in some basic details and we'll do the rest! If you are contacting Dance-Sing.com about an event, it's always a good idea to include the DATE, LOCATION, EVENT TYPE, AGE GROUP and TIMINGS to speed things up!